Happy Saturday Everyone! Have A Great Day! A simple and plesant ecard to share with everyone to wish them Happy Saturday and Have a Great Day. 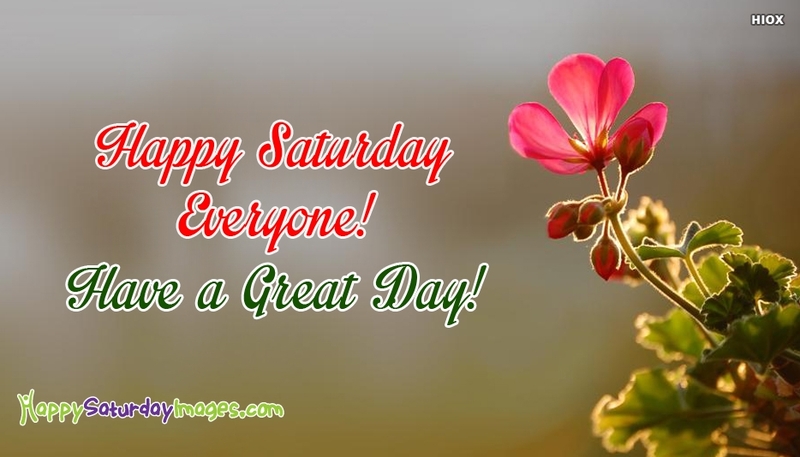 Wish your friend to have a great weekend using this happy staturday image. Have fun this weekend everyone! Next : Happy Saturday! Enjoy Your Day!